Paul Iddon tests the Venus 60mm f/2.8 2:1 macro lens, the World's only 2:1 macro lens to offer infinite focus. Venus 2:1 Super Macro Lens Review, by Paul Iddon. Nb. Venus are changing their name to LAOWA. A new design of macro lens, capable of focussing at 2:1 ratio through to infinity, this 60mm lens is something unique, a world first, and special. It is fully manual. 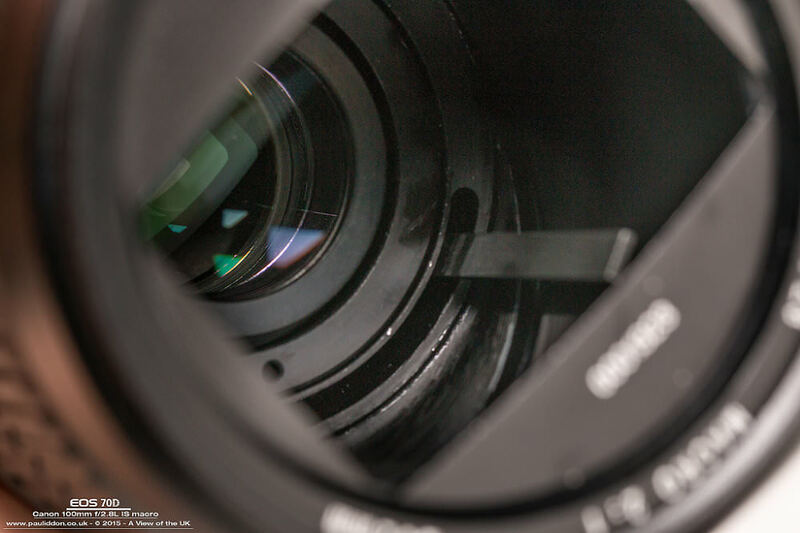 No electronic connections between camera and lens, so if you are unsure about how apertures work, take some time to understand them! Available in mounts to fit Canon EF, Nikon F, Pentax K, Sony A and with the further purchase of a compatible adaptor, with Sony NEX, MFT and Fuji X bodies. Because the lens is manual only, I have found that in poorly lit conditions, f/2.8 or f/4 is required to allow sufficient light into my 70D to allow accurate focusing. Certainly at f/11 it becomes very dark especially in the viewfinder – Live View is much easier to use. At f/22 bright light is definitely required to focus on your subject. There are 9 elements in 7 groups. The lens goes from f/2.8 to f/22, and has 14 aperture blades – perfect for soft and creamy bokeh. Its metal construction means it is quite heavy (just over 500g) and the clever thing is that the lens has its own extension tube in the body, which allows it reach the x2 magnification. When at this setting, the lens element is right at the front of the housing, and when focused to infinity for portraits etc., the glass retracts right to the back of the lens housing. The f/stops are clearly marked, but the aperture ring is quite narrow, harder for larger fingers as it is up against the camera body. 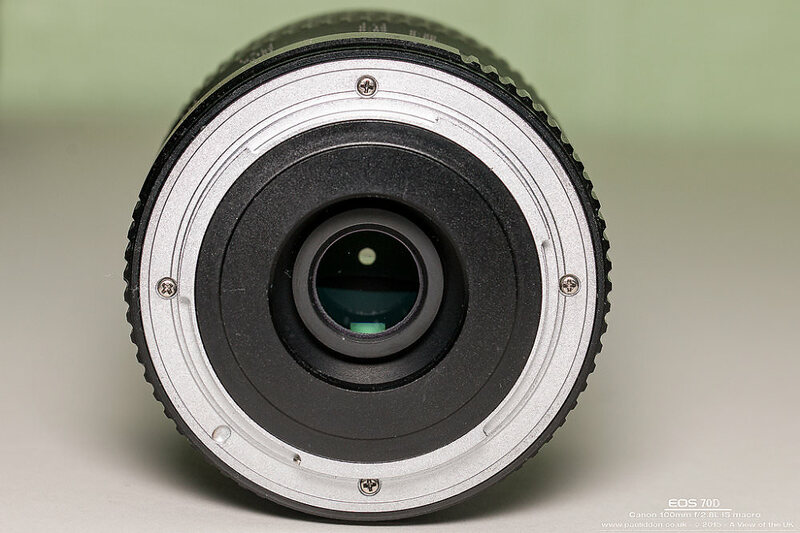 The focusing ring is nice and wide and well damped – so when you change the aperture, there is no movement at all so you shouldn’t lose your focal point. At 2:1 ratio, the front of the lens is just about 5cm from the subject which can lead to the camera and lens blocking ambient light, so something you have to learn to deal with. It also means that there is little chance of using mounted flash guns – only if you modify one would you get the light to land in the right place – a 2 inch gap is not much! I currently use a budget Marumi ring flash which is around an inch thick, meaning the front of the flash is barely an inch away from the subject. Of course, this means the light can be harsh, but my camera allows me to reduce the output if the light is too harsh, though it is still possible to get highlights which can spoil your images. Having said that, with tiny subjects, this flash is “outside” of your subject, and does seem to help create its own level of diffusion. That said, I do plan to look at making a diffuser myself. The use of an LED ringflash which can be used as a constant light source too, may prove to be beneficial, but they are often only around 1500kelvin so some tweaking post production may be required to get the colour temperature looking right. IQ is of course of prime importance, and this lens is very sharp. If your focus is precise, you will find the detail produced is excellent. The ability to crop greatly can be seen in the photograph of the Globular Springtail, compared to the original uncropped shot (the image titled “Nematodes…”). Edge to edge sharpness is good at all apertures especially from f/8, though the there is a drop in light toward the edges (vignetting) as is the case with most lenses anyway. There appears to be little or no diffraction at f/16 and barely anything at f/22 that I could easily see, and chromatic aberration is extremely well controlled at all apertures. The lens is supplied with a 62mm UV filter, which appears well made, and is quite thin, however, I tend not to use filters on macro lenses. I haven’t noticed any majorly significant pincushioning or barrel distortion during editing (the optical design consists of 2 major moving lens groups in order to minimise the barrel distortion) though I do not have a chart to accurately measure either of these. Remember these are on an APS-C camera (Canon EOS 70D) – the results will differ if used on full frame bodies. Note also, the manufacturers state that on FF, it can be used only as a macro lens, so cropped sensor owners get the extra benefit of infinity focus! The aperture will always record as “00” – this is because the camera assumes there is no lens attached. Exif will still report your ISO and shutter speed accurately. My early experience in using this lens is that it is most definitely worth the purchase price and more! The cost is (at the time of this review) $379 USD, and depending on the exchange rate that should be something around £250. It can be purchased direct from venuslens.net. All the example images are in my Venus Album on my Flickr page along with several others for you to view. My other images, including macro and a variety of others are on my personal website (http://www.pauliddon.co.uk/) as well as my ePHOTOzine portfolio. Paul the price on the website is $379 as you stated. Is there no customs (import) duty or other taxes to pay when ordering it from the website? Shipping is free at the moment - there will be duties. Nice lens by the sound of it, and fairly priced too, though i have to admit to never hearing this brand before, do they do many lenses? As far as I understood from LAOWA's press release the only consideration on FF bodies is that the lens will show some vignetting in the corners at longer focal distances, not that it won't work at all at infinity. If you happen to have an older Canon eos film body around, could you please check and see what it looks like through the viewfinder when you try focusing out to infinity? By the way i happen to be a card-carrying nematologist so i'm intrigued why that detail of the springtail photo is titled "springtail nematode" - is there a nematode hidden in the picture? For sales, prices include VAT, and as we are a UK based there are no customs or import duty within the UK or the EU. 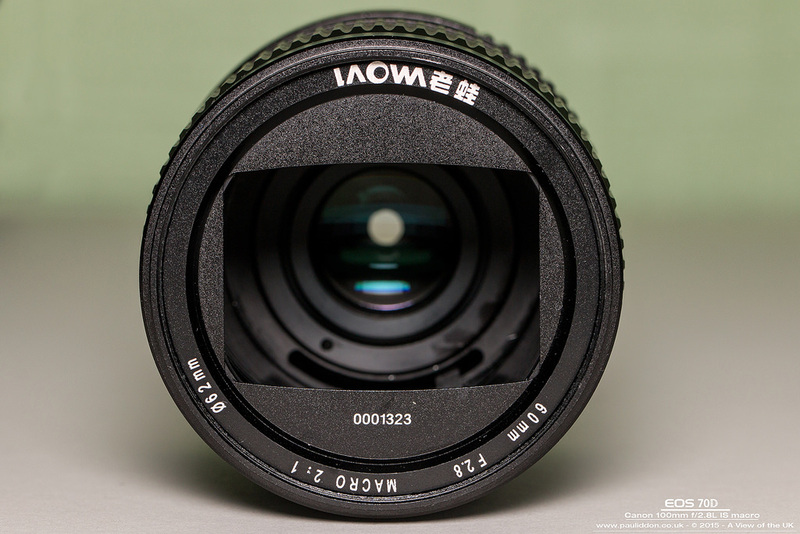 Currently the range includes the Laowa 15mm UWA macro, 60mm Ultra 2:1 Macro lens, and 105mm STF (Smooth Trans Focus) lenses. 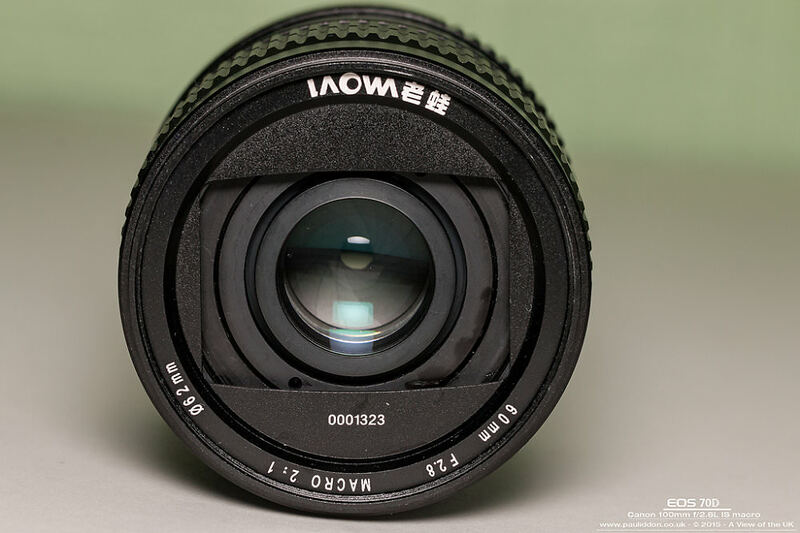 Currently all Laowa lenses are fixed focal length (prime) lenses, full frame compatible, however the 60mm macro does has some vignetting when shooting non macro subjects on full frame bodies. They are all currently full manual, including manual focus. Available in various mounts including Canon, Nikon, Sony A, Sony E and Pentax K (depending on lens and availability). 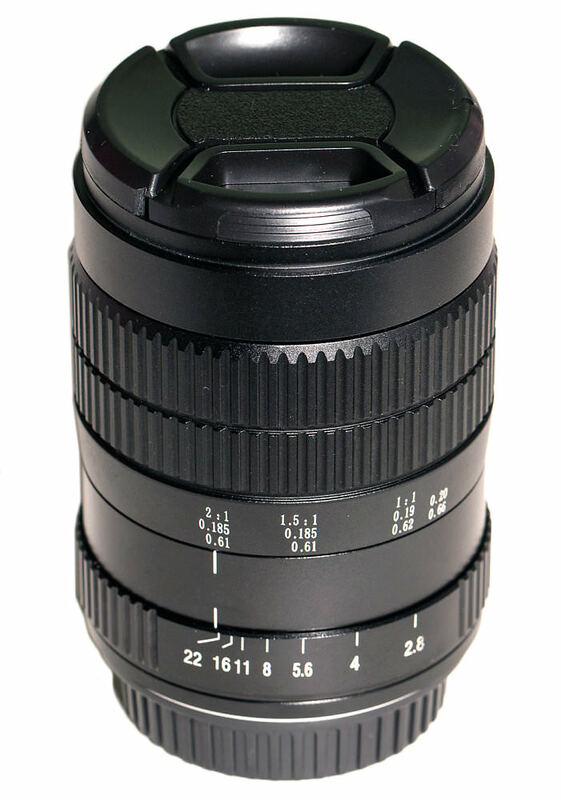 New lenses due soon! For more info please feel free to visit the website, or contact us.